One of the most high profile bars in the world is only open for one half hour, five nights a week. It measures a scant five feet. There is a different bartender each night, but they don’t always make drinks. And yet, Oprah’s been there. She had a vodka soda. Jennifer Lawrence chose white wine. “Vanderpump Rules” star Stassi Schroeder? A Blue Moon. 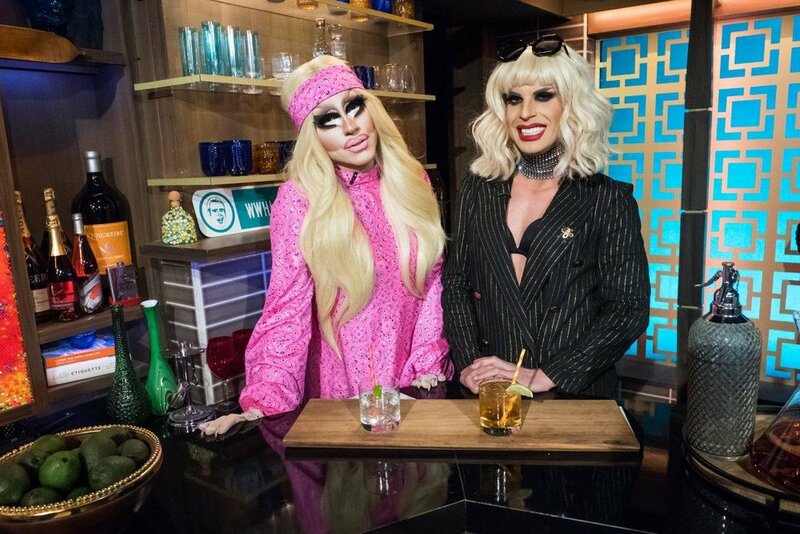 The bar on Bravo’s “Watch What Happens Live with Andy Cohen” might be one of the quirkiest features on a show famed for quirky features. “WWHL”, as it’s known among its devoted fanbase, debuted in 2009 and is now in its fifteenth season. Airing live Sundays through Thursdays at 11:00 p.m. Eastern, the show offers a looser, goofier take on the late night talk show format. There are no scripted pre-questions and everyone has a drink in their hand, if they want it. There's a built-in drinking game for viewers at home. And on Wednesdays, there are shotskis. The show is taped in a tiny Manhattan studio but it is currently in L.A. this week, on a massive stage, with a sparkly raft of guests and a bar sponsored by 7-Up.